Get the smoothest ride on our fuel-efficient, zero turn mower built for rough terrain. Spend one day in the saddle of our IS® 2100Z commercial riding mower and you'll quickly understand why. When you encounter bumpy terrain, you know the drill with other brands - slow down to a crawl, or become a human jackhammer as you bounce up and down in your seat. Not so with Ferris' patented suspension technology. The IS 2100Z zero turn lawn mower boasts full rear suspension and independent suspension in front. As the forward wheels of the mower track over those unexpected bumps and depressions, the adjustable coil-over-shock system restores control to the operator. You'll stay seated and steer with greater confidence.As an added benefit, the reduced stress makes this a zero turn mower that lasts longer. 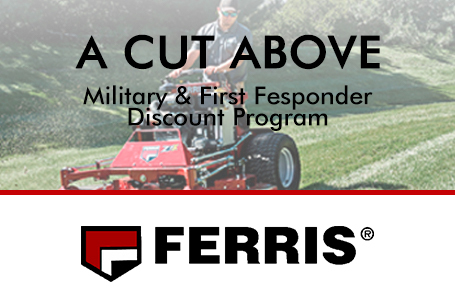 Combined with Ferris' iCD™ engineering under the mower deck, the IS2100Z delivers consistently accurate cutting performance in diverse conditions without the need to slow down. The cutting deck is mounted independently of the suspension system, barely affected by hills and holes, so you spend more time traveling at high ground speeds without scalping the expertly manicured turf under your care. At the heart of these brawny lawn mowers is our dual commercial Hydro-Gear® ZT-4400® transaxle system, designed to endure even the most merciless day on the job. You'll pair it with your choice of four impressive engine options from Kawasaki®, Kohler® and Vanguard™. Any one of them will deliver all the reliable, get-up-and-go a professional landscaper could want. If fuel economy is your hot button, the Vanguard™ 810cc EFI delivers uncommon efficiency without sacrificing output. Leading the industry in fuel efficiency, this beefy new, American-made1 V-twin unleashes 28 gross horsepower* while reducing fuel consumption by up to 25 percent3. And for those with an insatiable appetite for performance, the Vanguard™ 32-gross HP V-Twin BIG BLOCK™ unleashes incomparable power for a riding mower this size, with low vibration and noise cancellation technology. 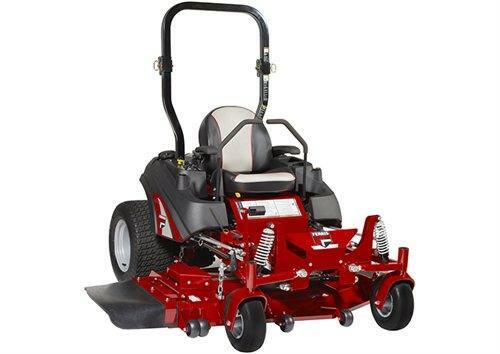 The IS 2100Z is an aggressive zero turn mower built to satisfy an eager work attitude, whether you're a full-time commercial landscaper or a discriminating homeowner looking for all you could ever need. Acres Per Hour - Mows up to 5 acres per hour, based on 80% efficiency. Flip-up Seat - Flip-up seat provides easy access to serviceable components. Belt and blade part numbers are referenced under seat. Foot-Operated Deck Lift - Foot-operated deck lift, with adjustable pedal, can change cut height in 1/4" increments from 1.75"- 5". Integrated Lawn Mower Transmission - Fully serviceable commercial Hydro-Gear® ZT-4400™ transaxles deliver power and durability. Miles Per Hour - Up to 10 MPH ground speed, reverse 6 MPH. Patented Lawn Mower Suspension - Suspension system consists of adjustable rear coil-over-shocks (shown) and front independent adjustable coil-over-shocks. Spindles - Features cast-iron greaseable (61" model shown) or aluminum greaseable (52") spindles. Overall Width: deflector down / deflector up (model) 78" / 61.5"
Mower Cutting Height: 1.75"- 5.0"